Contextual Related Posts now has a new home at WebberZone. Check out the dedicated page and access support. Contextual Related Posts is a powerful plugin for WordPress that allows you to display a list of related posts on your website and in your feed. The list is based on the content of the title and/or content of the posts which makes them more relevant and more likely to be of interest to your readers. This allows you to retain visitors, reduce bounce rates and refresh old entries. 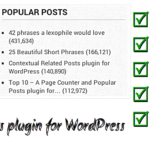 Contextual Related Posts is one of the most feature rich related posts plugins for WordPress with support for thumbnails, shortcodes, widgets, custom post types, caching and CSS styles. Manual install: Want more control over placement? Check the FAQ on which functions are available for manual install. 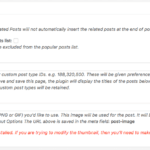 Custom post types: The related posts list lets you include posts, pages, attachments or any other custom post type! If you disable automatic display of related posts please add <?php if(function_exists('echo_ald_crp')) echo_ald_crp(); ?> to your template file where you want the related posts to be displayed. Contextual Related Posts is now on Transifex ready for translation courtesy the WP Translations. WP-Translations is the place where you will find a number of WordPress amazing Plugins and Themes to make them available in your home language. In exchange you will receive credit for your work and will certainly make part of the WP community history in your country. If you’re a translator, do consider joining the Wp Translations team. Visit Contextual Related Posts on Transifex. A css style class so I can style it. I’d say you should put credit on there like the other popular related post plugin. Don’t show page results, just posts. There is already a CSS style class for the related posts… it is called crp_related and is wrapped around the div. Hello AJay. I want to know something, is this plugin have option to add related posts in middle of content automatically, i means, like this. when the 1st or 2nd paragraph ends then there is link appear with related post …. ? Is this possible please reply . Disregard my previous comment, I’ll look elsewhere (didn’t read your submission button until I’d already clicked it). This should be fixed now. I’ve released v1.1.1. You can download it from above. I believe line 103 now has a comma after the last argument in the function and should not have a comma. Is that true? I would suggest deleting the two br tags after the div container. I noticed that this plug-in is what updated and borked my lay-out from the original plug-in Mark developed. There should be no reason br tags should be implemented in lay-out when it’s a simple matter of using margin or padding (padding if you’re concerned about IE6) in your template stylesheet. I’ve manually deleted the additional br tags for now, and am now updating my theme file to use the new function name. Good idea. I’ll knock it off in the next version release. Also, I’m noticing that it’s picking up pages and listing them. Is there a quick way in your code to exclude pages? (I might suggest to include this as another option in settings in the future). I might also suggest changing the ‘pages’ reference in the settings to ‘posts’. There is a difference between pages and posts in most WordPress user’s minds, and it would probably eliminate any confusion as to what the function is for. Otherwise, very nice upgrade to Mark’s plug-in. I appreciate it. Sorry about the confusion. I must have missed the reference. I always ensure that it stays different. I think I can work on excluding the pages out. Will have to play around with a few options. I suspect then when you’re ready, the plug-in update will show in my update panel and I shall be rewarded handsomely. This is a very nice plugin, I just found it and am testing. Only question I have, is if there is a way to manually add related posts to a post, instead of letting them random. Well, it isn’t really \”random\”. The related posts are based on the title and content of your posts. If you want to manually add related posts, you can just include it in the content of the post while compiling it. my feed is on summary m0de. hope you will fix this soon, thanks a lot! Does it work if you shift your feeds to full? Still haven’t tried, but my brother is also using this plugin on full text, and it is working fine. Is there anyway it will work with summary mode on feeds? I don’t think this is possible. And, honestly, I don’t recommend this with summary feeds. And, why exactly are you running summary feeds? It is recommended to run the full feed always for the benefit of those who chose to subscribe to your site. You’re a lifesaver – this plugin is exactly what I needed. Thanks! I haven’t seen this problem on three of the blogs. Can you delete the plugin and readd from scratch? Are you running WP 2.7? I’ve updated the plugin with a fix I believe should work now. Can you download and give it a shot? Hi, I found an errort to this plugin, before when I’m viewing a single post, it only has 30-60+ queries, but when starting to use the plugin it shows that a single post page has a 1900-2000+ queries. This is not n0rmal, it should I think only query the database less than 10 queries, kn0wing that it will only query 5 related post. This has an impact on my site. I tried to unclick the option that it will base the related post on title and body, and now it is only basing on the title but still it has 700-1000+ queries. Please do an immediate action for this. Can you check if it is clashing with another plugin? I have it running on http://demoblog.ajaydsouza.net/ and I see the usual number of queries. I have a total of 1900 posts, and some of them has 200+ related posts. i already tried deactivating my plugins to see if there are any c0nflict but still it remains like that. What I noticed is that when you already have may post crp will surely query the database many times. Which is I think is not normal. Some of my post has only about 10 related post and crp has small db query. but when my post has many related post it queries many times. And in addition to that, knowing that i only limit the related post to 5, it should not query the database many times. 700-2000+ db query is really not good. Let me run a few checks out here as well. I don’t notice a problem on this site as well as Techtites where I have it running to see if there is any underlying problem. BTW, I suggest installing WP-Super-Cache either ways on your blog. Hi, you’re perfectly right about this. I have a feeling as to where the problem is. And I have a \”possible solution\”. Give me about a day or two of testing across my blogs for the same. Good news! Fixed, and released. Check out v1.3. This version fixed the problem! My site now has less than 100 queries on single post page! Great job in v1.2.x, tnx!! Hi, I know this probably isn’t the best place to ask, but the WordPress support forum is rarely helpful. The problem I am having does prevent me from using this plugin though, so I will ask here. I noticed that my feed is showing excerpts and summaries only, regardless of whether I have it set to use \”Full Text\” or \”Summary\”. This also is preventing certain plugins from showing up on the feed. This occurs with a fresh install of WordPress with zero plugins installed. If that’s the case you may want to reinstall your wordpress blog, or recheck your settings on Reading Settings. Really glad that I found this plugin as the Related Posts plugin that I was using is no longer supported by the author. If you are open to suggestions – I do have one point for improvement…. The algorithm used to select related posts could do with some improvement and it would be really nice to see some additional options to influence the selection of related posts. What kind of improvements are you suggesting? Also, what additional options would you like to see? One of the reasons the \”Related Posts\” plugin from the other author was/is so popular is that he gave the plugin user several settings for fine-tuning the \”related-ness\” feature. Also, it seems to have a greater success at finding \”very\” related posts. Are you planning on \”evolving\” this plugin? A tip… current users of the \”other\” plugin will slowly start to jump ship (so to speak) if the author remains AWOL for much longer. These folks will potentially be seeking a similar plugin and expect equal or better features. Great! Do check out my other plugins. I like the idea of the plugin, and it seems to be working for a lot of people. Im probably missing something insanely easy. I installed it, activated it, checked the settings, but nothing appears to be different on my blog? Is there a specific way I need to insert it in each post? Thanks for your time! Check the manual instructions under options above. Ajay, thanks, read over above. So even though I didn’t disable anything, I need to put it into the template to display it after each blog post? Just wanted to double check! Just a heads up. If you have a blog that has a lot of posts (more then a couple 1,000’s) this plugin breaks the front page. If you want to see an example, drop me an email and I’ll demonstrate. Frank, care to elaborate. Both my blogs got a much more than a 1,000 posts. Same with several other blogs I am aware this plugin is on. Nice job on the plugin – much thanks. 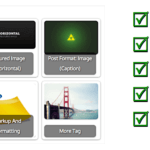 Better than the last few related posts plugins I tried. Is it possible to exclude one singe page ? Currently there is no way to exclude only a single page from this list. There is a way, with the help of another plugin: Ninja Page Categories and Tags (http://wpninjas.net/plugins/ninja-page-categories-and-tags/). This plugin lets u define categories for pages, which in turn u can disable in the categories of this plugin. Simply place the unwanted page into a excluded category, and it works! I was referring to the Ninja categories plugin. It was causing errors when I saved a draft. But I changed some things and got it to work. Thanks! Great plugin, but I have a feature request. Can you make it so that when I’m editing a page or a post I can select whether I want that page in the index of related posts or not? Most of the content on my site is on pages and there are a few pages that I do not want showing up in my related content. But, I can’t find a way to only exclude a few pages. I’ve been looking at tons of plugins like yours, but none of them have this ability. I think it would really make yours stand out more than it already does. JP, that is a good idea. I’ll put in on the to-do list. Yeah, another thought is to make it so you can decide not to display the related posts on a particular post as well. I have a problem, Is it possible make Thumbnail to be equal proportion, Thumbnail all out of shape. I don’t have a perfect solution right now for the thumbnails. I am experimenting with using timthumb as a base for image resizing. However, this won’t be in the very near future. I have a bug in this plugin. It works very good in general, but for some reason it sometimes displays the very same article in its related pages/posts list. The link in this case doesn’t work, it directs to a non-existing page, resulting in the 404 page. Has this happened before? Any solutions? I have personally not observed this behaviour. Does it happen only for a specific article? I tried the plug in and came up with an error. I could not see settings. When I tried to activated plug in. Nothing shows up at all. I will try and install manuel and see if that works. In that field you need to enter the post meta name. great work on this plugin. Only one thing I would really need more is the ability to add style to the image. Is that possible? something similar with \”HTML to display before each list item\” would be perfect, but maybe there is already a way to do it??? Viveo, the ability to style the plugin already exists. Just style crp_thumb. Regarding proportional resizing, this is still a major WIP, since I haven’t zeroed in on an exact method of doing this. Jean, you can use CSS to style the output created by the plugin. Instead of using a list, you can customise the output in the options to something else. I’m trying to CSS the output into a horizontal list and having some trouble. Ideally I would like each item to have the thumbnail img on top with the post title text below and everything centered. As a starting point I added the following to my css file but it is not changing the output. What am I missing? Brad, I suggest changing the settings in the \”Customise the output\” section to change them to divs with class names and then style the divs. These are usually better to format than lists. Thanks for the response. I got it to look mostly like I wanted except the thumbnail images were squashed and I could not figure it out. I had fun playing trying to make it work though. I was planning that store my post_post relations in a custom post_post table. But i think your approach is not this, right? The plugin uses mysql’s inbuilt matching algorithm. I don’t save the related posts because the related list will never be static on a blog that keeps getting new posts. I still need to adapt the plugin for even better matches. I’d like to be able to exclude the related posts from appearing on certain categories or specific pages. I can prevent certain categories from appearing within the related posts list, but what I want is the other way round…! I want to include all categories/pages as being available for listing as related posts BUT I want to display the resulting lists on my entire website (except a few pages). It would be great to have on the Edit Post or Edit Page an option box allowing related posts to show or not show for the item being edited. Graham, this feature isn’t there yet. But, I’ll put this on to the TO-DO list. Hi! How can I change the language on contextual related posts? I’ve finish to translate do Brazilian Portuguese and I’ve a crp-PO.po & crp-PO.mo files. Then… how can I use this files to translate your plugin? I want to change color of related post links because links have the same color with default link of theme. Can you help me to resolve this problem? Thank you very much! You can use CSS to style the links by adding this to your theme. #crp_related a and #crp_related a:hover need to be styled. Check this tutorial on the basics. Got this message when trying to activate the latest version plugin. Can you delete the plugin and re-install it with a fresh copy? Great plugin, I use it in my clients sites and they love it! And is full customizable! As I used a quite important custom taxomony in my posts i wanted the option to show the custom taxonomy. Now you can show one custom taxonomy by giving its name after the excerpt. Feel free to add it to the following versions of this great plugin. Thanks for the perfect plugin. Would you please show me how to display the date/month/year after the post title? I know i must to modify something, so i need your help about this issue. I think every peoples using your plugin needs this featured too. This is the best and only related posts plugin that works properly on my site with several thousand posts. The only think I’d like to suggest is that the thumbnail be physically resized because right now they are the same size at the original image. Any chance of that in a future version? Thanks! Really happy to have found the only linking post widget that will work for my blog. Especially as a serious technophobe, the installation and editing is super easy. However i can’t figure out how to make the related posts appear in a horizontal list…? Hi Ajay. I am trying to get the text to wrap around the featured images in the related posts output. I love the plug in. Please consider assisting me with this. Thank you! Also, I was wonder If I could text to wrap the images in the field named, \”HTML to display before each list item:\” ? or do I have to edit the plug in? I am using the show thumbnail option and it works well, but I have it set up in 300pix sidebar and the sentences (like the post title) causes extra text lines to appear below the thumbnail when I would like to have that post title, for example, aligned left or right of the thumbnail image rather than tapering off under the thumbnail. Maybe I am not using the right terms but I think text wrapping is what its called. I am a novice css editor but with some direction I am sure I can figure it out with a point in the right direction. I am not sure whether to use an indent code, or an align code, or if its is in the php or the css. I know we can do this! I am sure its a simple fix. I am experimenting with CSS code myself, so that I can provide some ready-to-go templates for users of the plugin. However, I don’t have an immediate solution ready for this currently. hmm, ok, I will see if I can figure it out. Thank you! oh…In which file should I put it? (where do I start?) Keep in mind I am a novice in this area but I do have a test blog that I experiment on. Hi Ajay, would you mind answer my question above? Mine too, comments still in moderation. I love how accurate this plugin is, but I’d really like to style the CSS for the results, for I don’t like the way the results look. First, they display in list style, but is it possible to display the results in one straight line (sort of like how LinkedWithin does)? If so, what would I need to add to my CSS style file? If that’s not possible, could you please tell me how to style the CSS so that the text is at least centered with the thumbnail? Right now, the thumbnail is displayed and the text shows up at the bottom of it, which leaves a great deal of empty space. Thanks so much for your help with this. One other possible change to the plugin I would suggest. Could you please provide an option to make the related links dofollow? This way, you could easily add some valid internal links which would help SEO, I believe. Thanks again for the great plugin. Currently, the plugin doesn’t have any nofollow being added. Isn’t this treated as dofollow, or do you need to manually specify this? Good question…I’m not sure. The only reason that I think the links are showing as nofollow is because I tested them with a Firefox plugin called SEO4Firefox. This plugin showed the links as nofollow. Thanks for checking on this though. I’ll go back and make sure that I haven’t accidentally made them nofollow with any of my blog’s settings. Just wanted to share what I did CSS-wise which formatted my posts kind of like LinkWithin plugin used to: Visit my site: http://www.mommylivingthelifeofriley.com to see what this style looks like. Maybe this won’t work with particular themes, but I’m loving the way things look now! 🙂 Hope it helps! Melissa, thanks for the code. I like the way the related posts are being displayed on your site. I am currently working on a version that should include a few \”themes\”. Will release it if all goes as planned. I would like related posts to show in my feed as well, but since I’m using the thumbnails styled in a list, they display a bit odd – four large thumbnails stacked in a list. I’m currently using a different plugin to insert related links into the feed in a numbered text list, but I’d rather stick with yours. Is there a way I can have it keep the thumbnail display on posts but just do an ordered link list in the feed? Jessica, unfortunately, there is no way to do this directly right now without some code changes. But, I actually like this idea and I’ll put it in my to-do. Thanks for the reply – I’ll check back in, I think it’d be a great addition to the plugin. Your style four square thumbnails display is awesome. Would you please show me how to do that? Oh it’s just a little personal blog, I’m not worried about SEO at all – in fact I have search engines blocked from the site. But yes, if you were worried about search engine rankings, I’d keep the post titles in there under the thumbnails. Is there any chance that you will implement the exclusion of a particular category in a future version of this plugin? Hello, what happen if i click on \”recreate index\” button? thanks firstly for plugin. i want display related posts under the comments, not top of them. how can i do it? Note: I made it with php if(function_exists(‘echo_ald_crp’)) echo_ald_crp(); code but style corrupted. I tried with made code in single.php and comments.php but style not works like works on the top view. some titles are very long, is there anyway to put break after some characater count for the titles? HD, this feature hasn’t been built in. You’ll need to throw in some extra coding to truncate titles. I can put this on the todo list, but not sure if it will be out soon. Is there a way to see if CRP is driving clicks? Is there a way to look at analytics and see how people are using the plugin or would the only way be to track the % difference of page views once it is installed? While you can’t drill down on percentages, a good proxy is to use my plugin Where did they go from here. This tracks which post your visitor clicks to from the current post. Hi Ajay – this might be a compatibility issue with my theme (photocrati) or some of my other settings/plugins but upon hitting activate, my entire site disappears (blank on firefox, internal server error on IE and chrome). Great Plugin. But, how and where can I change the css setting? Hm … In my style.css i cant find any id oder class of this plugin? I’ve added the code manually. For some unknown reason, it does not display any thumbnail, but only the default image. It sure does show the title and the excerpt (though I have already disabled it). Any suggestions? Can I see a link to the posts. I solved by myself after some more trying tnx. Hi I was using Contextual Related Posts, but Now i noticed that there is a problem in feed-burner email delivery to my subscribers because of this plugin. When i disabled Contextual Related Posts plugin feed-burner email delivery works. So please check this issue and let me the solution. Uday, I am not in a position to verify this. I have the plugin on a site that uses feedburner email delivery and this works fine for me. The plugin is really great, thank you. Found one problem: if I use category filter, plugin removes related posts from query result, so sometimes I get fewer related posts then expected (for example, if I set to show 5 related posts in options, after applying category filters I get only 3 posts on page) . Probably you should use category filter in the sql query. In the mySQL filter I fetch 3 times than the limit, i.e. if you put 5, the query gets 15 related posts and then starts knocking off those that are to be filtered out. If you’re getting only 3 posts left, that means you’re category filter is too strong. I had thought about putting the category filter in the query, but am not sure about the additional overhead. Also it makes the query a lot more complicated than it already is. Well this plugin complete with several filter options to improve the results, I am also programming a plugin, I am researching the websites to get ideas and improve mine too, for now just did the base and is already great, will implement the function thumbnail that I have actually ready, and then it will create the content filter. Would it be possible to limit the title/expert length on the widget separately from the output options? 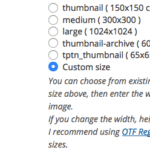 You already have separate options for the thumbnail size, so it would be an extension on that. Alexander I can put this on the list of things to add. I am currently inserting the PHP functional call in my theme’s single.php and the output appears. In plugin’s settings, I have \”Title of related posts:\” set to \”Related Posts\” (i.e., I just removed the colon). But in spite of that, colon continues to appear on single posts for the title. Any advise? As part of the normal security and performance scans that WP Engine runs on our customer sites, we also scan for plugins that may be on our disallowed plugin list, and adversely affecting site performance and / or security. We just scanned your WordPress installation ‘sridhar’ and discovered [contextual-related-posts], which is/are on our disallowed list and will result in sub-optimal performance for your site. Our policy about plugins we don’t allow is here: http://support.wpengine.com/disallowed-plugins/. Unfortunately, CRP is banned from WP Engine because they have highly optimised systems and plugins like CRP use FULLTEXT indices which may not be fully scalable on very large blogs. since version 1.8.9.1 i can no longer disable images inside the widget. can you help? thanks. Simone, please use the support forum to raise your query. Hello, what happen if i click on “recreate index” button? It will delete the existing FULLTEXT index and recreate it. Thanks. I’ll take a look at it and test this. I installed it on my established sites, but I’ve an issue with the plugin. It shows the related posts right below the post’s content, mean exactly where the post content ends. Is there a way to make the posts appear after the post content, after/below the share buttons? Please help, as the related posts do show within the html content of the post, making it look like the content of the post for the search engine robots. Hope you understand my problem. Looking forward towards your kind response soon. You’ll need to edit your theme files and do the Manual Install. Please refer to the FAQ. If you have any further questions, please create a new topic in the support forum. Please write a code that the related posts appear in a horizontal list. When you can expect a new version of this plugin? I can’t promise an exact date. Is there anything specific you’re looking for in the next version? horizontal related post with custom size thumbnails. Where can I find a good CSS, or even an example, My website is also available for mobile, Thank you! The text only version is because of the image and the text link. Could you please point me to articles addressing this? An alternative is to disable the images from being displayed. In the screenshot are in wordpress.org, why not start with one or 2 images showing the plugin in front-end ? I’d like to modify the output so that it displays other data (as my website doesn’t use thumbnails or featured images). Is there a way of modifying a template or hook so that I can redefine the output with hacking the core of the plugin? A bit confused about how to modify the code, can you help assist? I’d like to modify the example, so that it sits on an individual page for a custom post type called ‘jobs’ and displays related ‘jobs’ posted which have a similar title. The main reason for doing a custom function was so that I could just change the appearance. Cody, could you please open a new thread in the WordPress.org support forums (link in the main body above) with your site details and possibly screenshots. I’m using Chrome Dev Tools to try to figure it out but no luck so far. Do you have any ideas what might be causing this and how to work around it? Is there a parameter I need to set in the config or some code that needs changing? Thanks in advance, cool plugin!